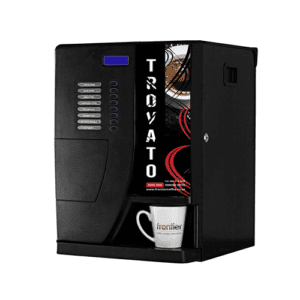 We are offering you the opportunity to purchase the Sprint Instant Coffee Vending Machine, our most popular coffee machine, at a massive 15% discount to list price! Reduced from R 22 490-00 to R 19 560-00 (+VAT) this special offer means you will SAVE a massive R 2 900-00 if you buy before 14 December 2018. Why not look here at the Sprint Instant to see what you could be enjoying in your office within days. This is a Festive Season offer and is only valid only to 14 December 2018 or while stocks last!